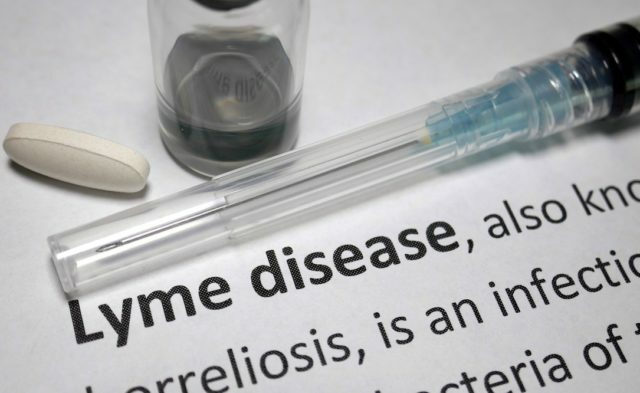 Because symptoms of Lyme neuroborreliosis affect the joints, muscle, and the central and peripheral nervous systems, health professionals from many disciplines, including neurology and psychiatry, need to be able to recognize the clinical presentations, know the essential diagnostic tests, and understand the treatment approach. Erythema migrans is a distinct early presentation of localized Lyme disease,8 and for the experienced physician, this presentation can be sufficient for a clinical diagnosis. Serologic testing at this early disease stage is of limited diagnostic value because of the high incidence of false negative results. The need for additional research is evident to better define the optimal use of antibiotics for the treatment of Lyme neuroborreliosis.11 The effect of long-term use of antibiotics also deserves attention. Inappropriate antibiotic use can alter the balance of the gut microbiome and may lead to side effects. The effect of long-term antibiotics on the gut microbiome is an area of emerging study and should provide very useful information in the future regarding whether or not the alterations themselves are contributing to ongoing symptoms. 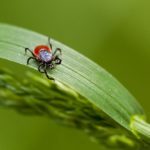 Until more research is available to better guide the management of the neurologic manifestations of B burgdorferi infection, it is important that physicians have heightened awareness of Lyme disease. They must also have a clinical suspicion of Lyme neuroborreliosis in children who present with neuropsychiatric illness and must diagnose the disease promptly and provide appropriate treatment, which may include referral for appropriate symptom management. Marques AR. Lyme neuroborreliosis. Continuum (Minneap Minn). 2015;21(6):1729-1744. US Centers for Disease Control and Prevention. Lyme disease. Lyme disease graphs. https://www.cdc.gov/lyme/stats/graphs.html. Updated November 1, 2017. Accessed July 17, 2018. US Centers for Disease Control and Prevention. Lyme disease. How many people get Lyme disease? https://www.cdc.gov/lyme/stats/humancases.html. Updated September 30, 2015. Accessed July 17, 2018. Szer IS, Taylor E, Steere AC. The long-term course of Lyme arthritis in children. N Engl J Med. 1991;325(3):159-163. Lyme Disease Action. Neurology and Psychiatry. Involvement of the Central and Peripheral Nervous System. https://www.lymediseaseaction.org.uk/about-lyme/neurology-psychiatry/. Updated November 26, 2016. Accessed July 17, 2018. Cameron D. Adolescents with Lyme disease. http://danielcameronmd.com/adolescent-lyme-disease/. 2018. Accessed July 17, 2018. Koster MP, Garro A. Unraveling diagnostic uncertainty surrounding Lyme disease in children with neuropsychiatric illness.Child Adolesc Psychiatr Clin N Am. 2018;27(1):27-36. Cadavid D, Auwaerter PG, Rumbaugh J, Gelderblom H. Antibiotics for the neurological complications of Lyme disease. Cochrane Database Syst Rev. 2016;12:CD006978.